So it's been raining in the bay on and off for about a week now. Although I know it is much needed rain, it can make it rather gloomy. I am so used to seeing sunshine. This is when I have to make my own sunshine. I love wearing bright colors when it's gloomy outside. It picks up my mood. I'm a person who thrives on natural light. Style Notes: This was my first official purchase from Anna Scholz. I actually ordered from the UK website. I love the skirt. It fits great. I did have to do a couple alterations. I sew up the split and I took in the waist. Please note that the shipping is rather pricey, but I will say that is fast. I got the skirt in 5 days. This was on sale so even with shipping it was still over 50% off. I definitely plan on wearing this a few different ways. Also, the scarf I'm wearing is a swimsuit cover as well. I won't be going on vacay for a little bit, but this was too pretty not to bring out before then. Love the scarf and the skirt is so pretty on you. WOW, WOW, WOW I love all this outfit has to offer! Fantastic! I'm seeing this "radiant orchid" color everywhere! I love how you paired it with the orange in the scarf - such a surprising combo! I've been lusting over Anna Scholz pieces for awhile, but they're a bit out of my budget currently. Hopefully some of her new line makes it to clearance because there are quite a few dresses I have my eye on! Great score with the skirt! The peplum flap is genius for giving a bit of flounce and masking a tummy! This skirt was on clearance. I had to wait, because although she has some nice pieces...the full prices aren't in my budget. Radiant orchid is the color of the season! I love this!! Can you tell ne what size cause Im a hippie girl also and I wanted to see if I should go up a size. I love this concept! The colors together are awesome! I am not a hippie girl and I am jealous lol. I love your blog Chas! 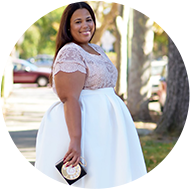 I love the peplum detail of that skirt. The leopard print of the shoes really goes with the look; I dig it! UK sizes are 1-2 bigger. So a 20 would be a 22 or 24. So I Should Buy A 18? I love the mix of prints here, and I agree, the print on that 'scarf' is way too pretty to just be stored away waiting for the beach! 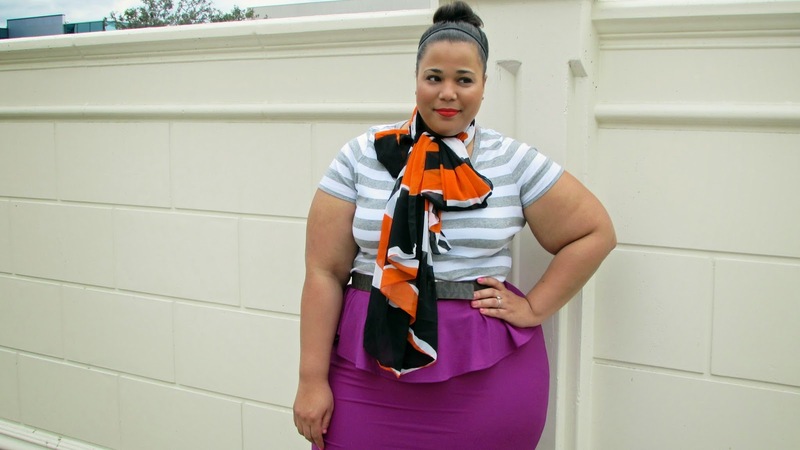 I Love the skirt...I think I'm going try for Easter...especially the color! !